Even the earliest charter of civil rights was condemned by the papacy. This was the Magna Carta Libertatum or The Great Charter of the Liberties of England. Pope Innocent III had declared King John to be his vassal, and now "his" vassal had, without papal authorisation, granted rights to his subjects. The pope therefore considered the Magna Carta to be interference with his ownership of England and proclaimed it invalid ― "forever." In 1208 King John broke the Concordat of London by refusing to appoint Stephen Langton, the Pope's candidate for Archbishop of Canterbury. (His great-grandfather, Henry I, had appointed bishops until the concordat forbade this.) John then then seized all the possessions of the archbishoprics of Canterbury and York. As punishment Pope Innocent III put England under an interdict. This meant that priests were ordered to go on strike: they were not allowed to conduct church services, hear confessions or administer sacraments, (including death rites, a denial of which, according to Church teaching, could lead to eternal torture in the fires of Hell). 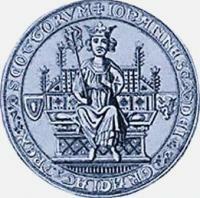 The next year Innocent upped the pressure further by excommunicating John, which absolved his subjects of their oaths of fealty and was an open invitation to rebellion. Further reading: for the Vatican's recent record, see Vatican smokescreen on human rights. 1. Terry Jones and Alan Ereira, Terry Jones’ Medieval Lives, BBC Books, 2004, p. 7.